Users can see their recording and their mission next to each other! 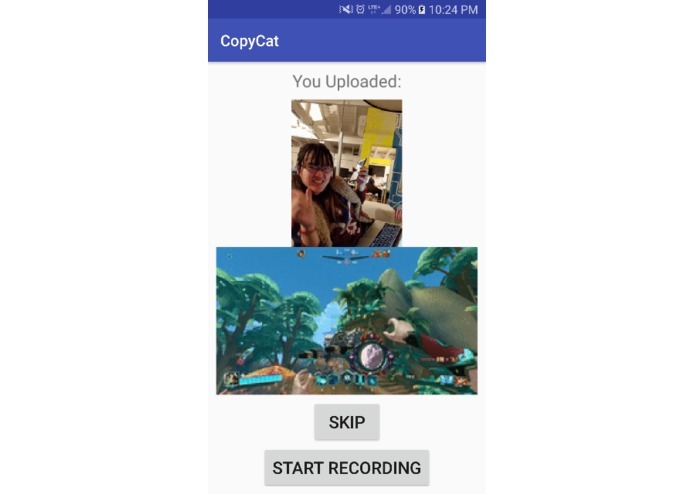 Users get a mission to record on the phone, which is uploaded to Gfycat! 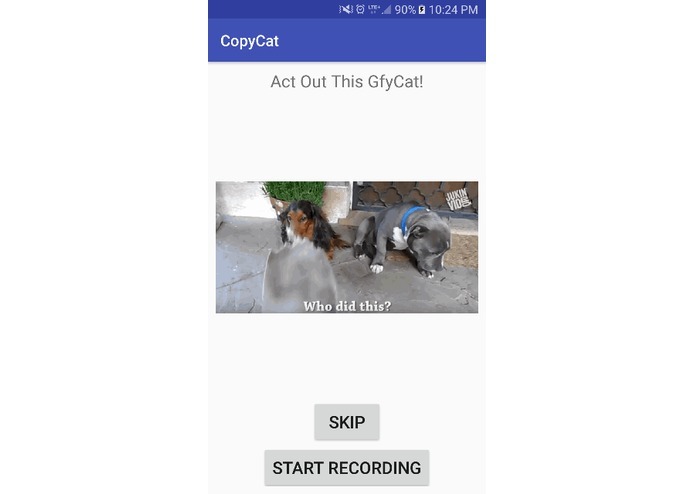 A Gfycat mission is chosen from a curated list and the top trending API. We had a lot of fun in the past drinking with coworkers and playing games like charades. There are fun apps where one user holds the phone to their forehead, others try to act out the mission, and it records them and shares it at the end, for example. We wanted a similar fun parlor game based on Gyfcat. A top trending Gfycat is shown or one from a curated list depending on how many you skip through. That Gfycat is then the mission! 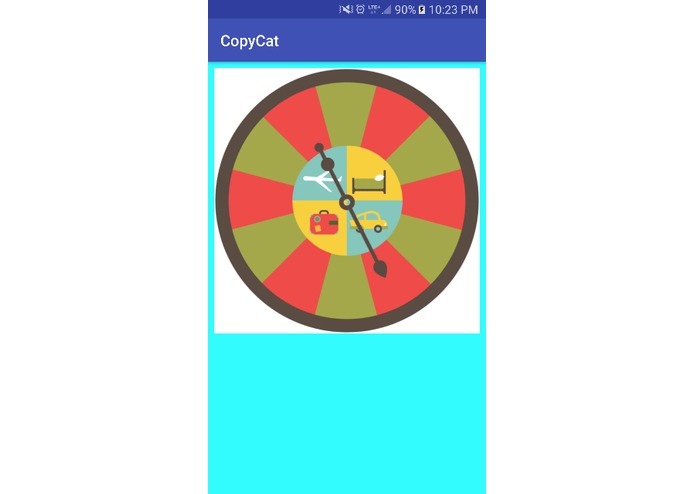 Users most act out the Gfycat using the record button. 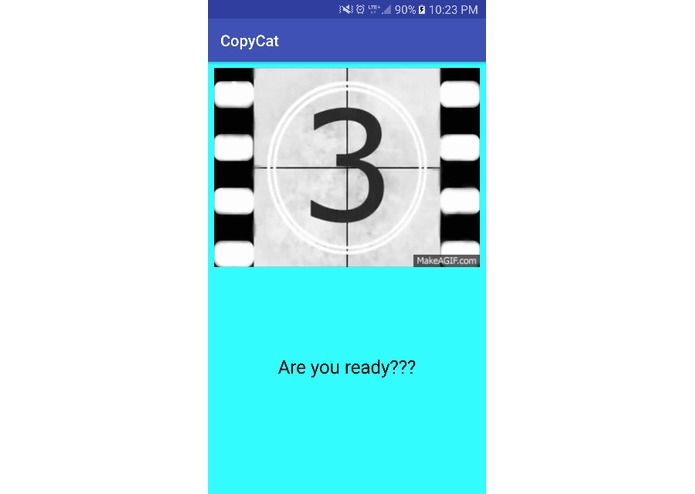 The recording is then uploaded to Gfycat and shareable! It's pretty hilarious seeing people tilt their heads like puppies, bob their heads like owls, and more. 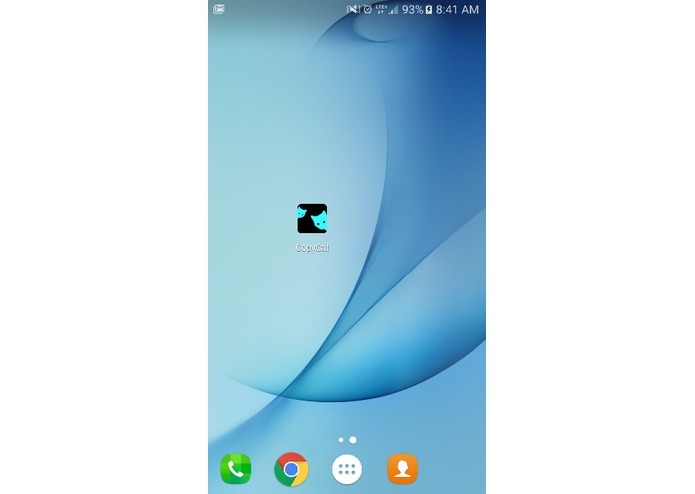 The app is built with Android. Java is used for accessing the trending API of Gfycat, prepare upload, upload, and status check. HTML is used for the splash screen, bottle spinner screen, and share screen. It's quite difficult to upload images from Java Android. The image upload API isn't as close to REST architecture as the rest of the API endpoints, and even gives an error if you send it the authorization header and requires a different base API URL, so it requires a lot of custom code compared to if it was just another REST API that could be used easily with libraries designed for accessing those like Retrofit. Chloe was also writing HTML for the first time at a hackathon, so learned tons of stuff. It runs, makes it fun to skip through Gfycat trending quick, and add more content to Gfycat! Lots of Gfycat API knowledge and HTML learning. Polish and the app store! Yay!